Latvia is a country in Northern Europe that is bordered by the Baltic Sea in the West. Most tourists that visit the country go to Riga, which is a UNESCO World Heritage Site. Since t Latvia has half of its surface area covered in forests, you can explore multiple trails and natural parks. The scenery is gorgeous, and you will have a great experience. At the same time, Latvia is the home of the broadest European waterfall. It is called Kuldiga, and it is a beautiful natural treasure that you should not miss. At the same time, tourists seem to love Cesis. It is a town that has medieval ruins. You should find it interesting to visit. But before you travel to Latvia, you should see if you need a visa to enter the country. What you should know is that Latvia is a Schengen country, and if you do require a visa, you need to apply for a Schengen visa. You may not have to if you are in one of two situations. The first one implies that you are from a European Union country or an EEA (European Economic Area), in which case you have freedom of movement in the Schengen Area. The second is that you travel from a country that according to the Schengen visa policy is in the visa waiver program, in which case you can go to the Schengen Area without a visa and stay there for up to 90 days unless otherwise noted. If you want to know which rule applies to your particular situation, you can either take a look at the visa policy of the Schengen Area, or you could use iVisa’s Visa Checker. It is a smart tool that gives you that information in just a second. All you have to do is select your country of origin and Latvia in the two drag-down menus. The result will let you know if you do not need a visa, and if you do, it gives you a list of embassies that you can go to and apply for a Schengen visa. 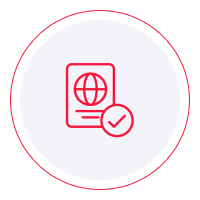 Schengen visas cannot be obtained online, which is why iVisa cannot help you with the application process. We wish, however, to be as of much help as possible, which is why our support service is available day and night and is entirely free of charge. In case you find out that you do need to apply for a Schengen visa to go to Latvia, you must go to the nearest embassy. However, the visa policy has some rules about which embassy to visit. If you plan to go only to Latvia, then you need to visit the nearest Latvian embassy. On the other hand, if you plan to visit multiple Schengen countries, like many people do, you must go to the embassy of the country that is your main destination. If you cannot tell which your main destination is, the embassy you need to go to is the one of the country that you enter first. While we cannot assist you in getting your Schengen visa, the information above should be helpful by pointing you in the right direction.